SGX Day Traders: Thanks all SGX Day Traders supporter. We have launching Android Apps for our followers to receive SGX Day Traders Blog, Facebook and Youtube posting at one go. Interested download the APK to your Smart phone (Android) and You are ready to receive update in real-time! Click Here or http://bit.ly/1qGamDX to download SGX Day Traders’ App. Is FREE Forever. Thanks all SGX Day Traders supporter. 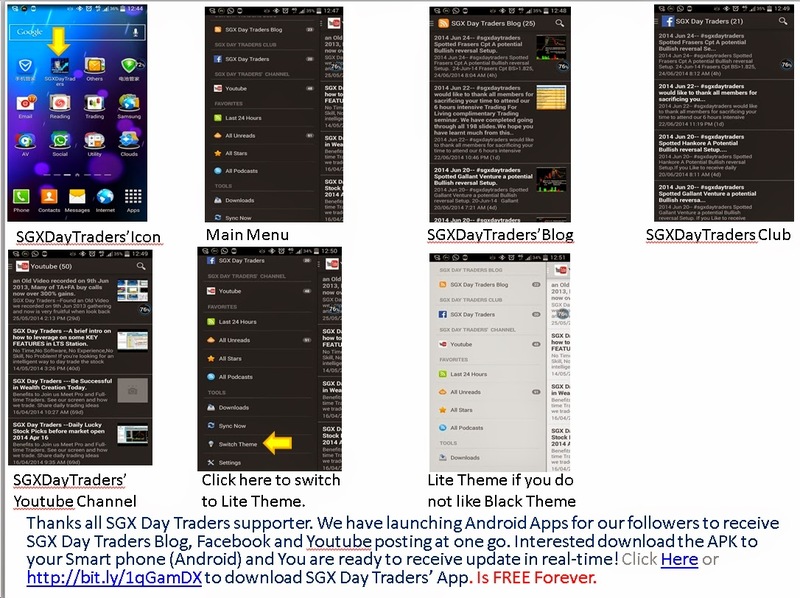 We have launching Android Apps for our followers to receive SGX Day Traders Blog, Facebook and Youtube posting at one go. Interested download the APK to your Smart phone (Android) and You are ready to receive update in real-time! Click Here or http://bit.ly/1qGamDX to download SGX Day Traders’ App. Is FREE Forever.